Department of Land, Air and Water Resources - UC Davis :: Can Ben Houlton help UC Davis solve climate change? 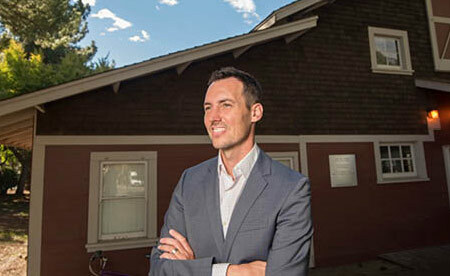 Home » News & Events » News Archive » Can Ben Houlton help UC Davis solve climate change? California has been at the forefront of tackling climate change for decades. And UC Davis is a powerful player when it comes to the research and knowledge critical for solving climate change, ranking first in the world for plant and animal sciences, second for agriculture and forestry, and fourth for environment and ecology. And the JMIE has been committed to its mission of discovering, researching and solving pressing environmental and human health challenges for almost twenty years. nitrogen—positions him to understand the complexities of the science involved in climate change. But his motivation for wanting to fix what’s wrong goes all the way back to his childhood.